The state of Maharashtra is blessed with a vast 750 km coastline. Visiting the various forts that decorate the coastal necklace is a wonderful experience. The journey starts from the Revas port and continues up to Terekhol. Walking among dense coconut trees and experiencing the Konkani lifestyle is truly amazing. 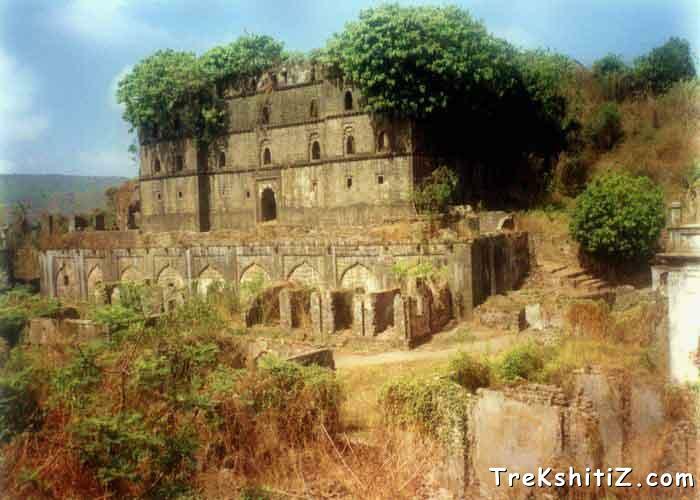 Main among the forts are Sindhudurg, Vijaydurg, Janjira and others. �Jazeera� is an Arabic word, which means an island. The name Janjira resembles it quite a lot, because it is derived from the same. The fort of Janjira is situated on an island, which is quite literal. The fort was previously called as �Jazeere Mehroob�, and the folks gave imparted the name that prevails now. This island is situated 3 km within the sea, near the village Murud, a beautiful tourist center. As we understand more about each fort, we come to know that different rulers ruled them in different times. But the story of Janjira is quite different, because the Siddis ruled them till recent times. Nobody could conquer it. Shivaji had conquered many forts, but could never bring this one under his control. Due to these Siddis the moguls could sustain in Sahyadris, and the English could trade freely over the seas. As Marathas were hostile to them, they had to face the three. Thus we can deduce the importance of Janjira fort. This fort was also known as �Fort Mehroob�. After the death of Malik Ahmed Nizamshah in 1508 A.D. his 7 yr old son Burhan assumed the throne. Two Nizam warriors Mirza Ali and Kalab Ali came to Dand Raajpur in the northern Konkan. Their rule was a nemesis for the local fishermen. The fishermen erected a wooden fortification on a neighbouring island. Ram Patil was the leader of the folks and posed a threat to Nizam. Nizamshah dispatched a Sardar named Piramkhan to remove the hurdle of Ram Patil. Piramkhan drugged Ram Patil and captured the island. Later Ram Patil was sent to the Nizamshah and was converted into a Muslim. After his death in A.D. 1538, Burhan Nizamshah was appointed here. In 1567 the wooden structure was replaced by well cut rocks and the strong fortification was completed in 1571. It was known by the name of �fort Mehroob�. In A.D. 1587 Alargkhan was appointed here. After his death in 1612 his son Ibrahim Khan gained control and Siddi Surur Khan came after him, during 1618-1620. Till 1947, about 20 Siddhi Nawabs enjoyed rule over the region. However, when it seemed that did not prove to be economically vioble, Malik Amber, separated this part from Janjira and gave it into the hands of Siddi Amber Sanak. It remained in his control till 1948. The residents of Janjira Finally enjoyed freedom. After 330 yrs of foreign rule by about 20 Siddhis, Janjira finally become a part of the Indian constitution. After winning the forts of Talegad, Ghasalgad and Raigad in A.D.1648, Shivaji Maharaj turned towards north Konkan. He realized the strategic importance of Janjira. His first effort to take Janjira in 1659 did not bear any fruits. Shamraj Pant and Baji Gholap, who were sent for this mission, could not succeed. In the second attempt in the same year, Nilopant Raghunath Mujumdar and Mayaaji Bhatkar succeeded in beleaguering the fort, but could not capture the fort. Shivaji Maharaj made yet another attempt to capture the fort. Raje dispatched Vyankoji Datto with an army to the fort. Shivaji Raje dispatched Vyankoji Datto with an army. Siddi retaliated and a huge battle ensued. Once again, Shivaji Maharaj was unsuccessful. After this third attempt he tried once again in 1678, but his efforts turned out to be futile. In A.D.1682 Sambhaji raje sent Dadoji Raghunath to capture Janjira but again Aurangzeb arrived in south and he had to leave the campaign. This impregnability was breached in 1948, when Janjira became a part of independent India. This must be the only fort, which was so invulnerable. The story that reveals the reason why Janjira remained unconquered for 400 years is quite interesting. Joshi families, a well-known family of Brahmins, were veteran astrologers. Their predictions used to be correct. Once the main person was out somewhere, when some courtiers of Siddi came to him to ask an auspicious moment when the fort could be constructed. The Siddis had captured this island from local fishermen by treachery, and wanted to develop it. The daughter of Brahmin knew about the calculations, and told them about a moment that would be the luckiest for the fort, which would make it invulnerable. When the man returned, he was shocked to hear that the wrong people were given the favor. The construction started on the decided moment, and Janjira became immortal. As we go from Murud to Rajpuri, the southernmost point of Murud-Janjira city, we get a grand view of Janjira. It cannot be seen from the main beach. The fort that is seen from here is Padmadurg, built by Shivaji as a counterpart to Janjira. As we go nearer, we come to know the hugeness of the fort. The entrance to the fort faces the east. Ferryboats from Rajpuri village halt at the entrance door of the fort. Inscription in Persian on a white stone near the door can be clearly seen. Rock carvings on both sides of the entrance are of Gajant Lakshmi. A can be seen on the Mahadwar of the fort take you to a place where Cannons are kept. The biggest of them is named �Kalad Bangdi�. As one enters the main entrance and walks ahead, another door on the left is seen. On the right hand side is a room like structure, which is called the Peer Panchayatan. There are 5 peers in this room. A few graves can be seen in the front yard. 3 rusted anchors lie unmoved here. Moving ahead from the Peer Panchayatan along the coastline we come across the stable. The 3-storey dilapidated structure ahead is the Surulkhan�s palace. It is the tallest building here. Northwards from the palace lies a lake. The lake measures about 20 m in diameter. As we walk ahead the steps the along the lake, we reach the citadel. A square for flag hoisting is constructed here. It is situated behind the citadel. On the western side o the fort, just below the coast level a small door can be seen. This door was used as an emergency exit. Above the door along the coast is a jail. On the ramparts nearby there are cannons of metal, which still are in better condition. It has been discovered that there were 572 cannons on the fort in 1669. There are 22 bastions, on many of which such cannons are seen. Even today these have stood the test of time and are in a good condition. It takes about 2-2 � hrs to see the fort. Get to Alibaug from Mumbai /Pune. You can then go to Murud from Alibag via Revdanda. Small boats take you to the fort from Murud. The journey by boat takes about � hr. The other route is the Pali-Roha-Naggothne-Salar-Nandgaon-Murud route. One can also plan his travel in the Konkan region by following the Mahad-Gorgaon-Mhasale-Borlipanchatan-Didhi route. Boats take us to the fort from Didhi. In the village of Murud or Rajapuri. Hotels and Restaurants are available in Murud village. One has to carry his own food on the fort.